When it comes to digital marketing, we tend to focus heavily on our websites. But columnist Rachel Lindteigen reminds us that optimizing external web properties is crucial. When it comes to digital marketing and SEO for your business, it’s important to look beyond just your website. For local businesses, a strong online marketing effort requires an investment in local directories, maps and review sites, too. If all of your optimization efforts are spent on your site, you’re likely missing out on opportunities. Google’s Pigeon algorithm update, released in July 2014, gave more prominence to local map and directory sites such as Yelp. In many instances, Yelp listings now rank above the business’ website. For example, when you search on the query [bakery phoenix], you have to scroll past three map listings and three organic listings before you finally see a local business website listing. That first local business website is in position 7, essentially. How many potential customers are going to scroll all the way down to the bottom of the page to find your actual website? Nowhere near as many as are likely going to click on the map or directory listings that are more prominently positioned at the top of the search results page. Thus, it’s important to make sure you’re watching these listings on a regular basis and optimizing your presence in the map and directory sites. The most important thing is to make sure you’re listed and your information is correct. You can do this for Google maps via Google My Business. 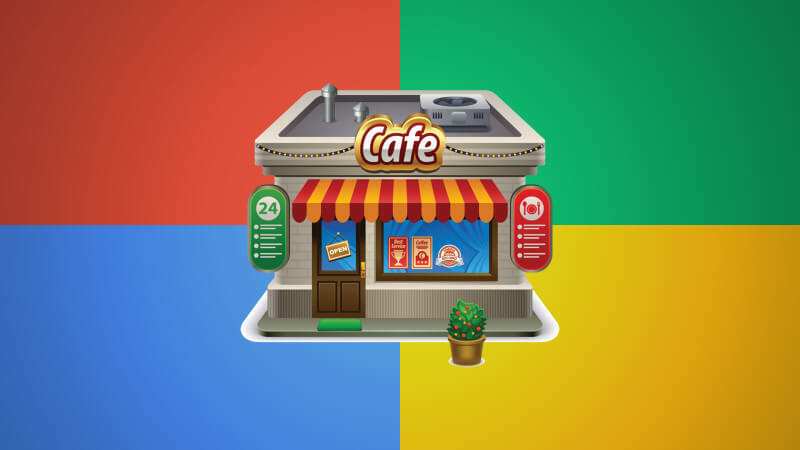 Google My Business provides an easy way for a business owner to create a listing or claim an existing one, allowing them to ensure that their information is accurate and complete. Best of all, it’s free. If you were signed up and verified through Google Places or Google + Pages, you should automatically be moved over to Google My Business. Claim your business listing on Yelp. Once you’ve claimed your business, you can update information, respond to reviews, upload photos and more. Yelp is the most popular consumer review site, and as such, it’s important to ensure your information is present (and accurate) on their site. Once you’ve claimed your listings and verified that your contact information is correct, it’s time to optimize your business information. You can add photos, hours of operation, contact information, your URL, and other information to make your listing more robust (allowing it to stand out from the crowd). You can also create deals, respond to reviews and more. Gather great reviews on your listings. I know, that’s easier said than done; this is one of the more critical and more difficult tasks to coordinate. There are a few methods you can use to generate reviews. Some will advise you to “just ask for them,” but honestly, that’s not very organic. Yes, you can ask people to write reviews or offer an incentive to someone who reviews your business; however, you should be cautious with that type approach, as many review sites (including Yelp) discourage review solicitation. As with everything else, Google wants to provide the best information to their customers (searchers), and that means it wants honest, reliable information. If you offer great products, provide great service, and take care of your customers, they’re going to be inclined to review you on these sites whether you ask them to do it or not. Respond to reviews. It’s likely you will have a mix of both good and bad reviews on Google Maps and Yelp. That’s normal. Unfortunately, customers are often more inclined to leave negative feedback than positive — that’s why it’s critical that you respond. There will of course be some customers that can’t be satisfied, and in certain instances you may feel that you were in the right and they were in the wrong. However, if you have multiple negative reviews that all talk about similar issues, that might warrant double-checking the situation to see if maybe what they’re saying is true. In any case, respond, acknowledge their concerns and try to make them right where you can. It’s not necessary to air the entire concern publically; rather, respond and provide an email address or phone number where they can contact you further to work to resolve the situation. By now, you understand the importance of working with local maps and directories such as Google Maps and Yelp. In today’s post-Pigeon world, this type of site will often rank above your own website — as such, you must be present there. Managing your business on these sites needs to be part of your ongoing SEO strategy — in other words, it is not a one-time task. This “set it and forget it” mentality could leave you with outdated information, negative reviews that are unanswered, and other issues. It’s likely that more customers will be exposed to your business through these sites than your actual website, at least initially. By including these sites in your overall strategy, you will be able to build your customer base and, hopefully, grow your business.